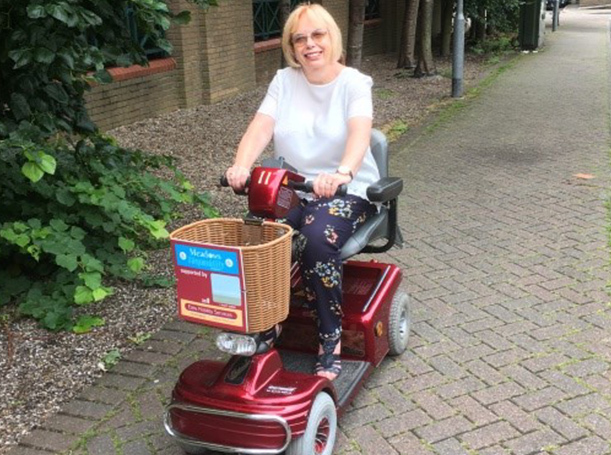 Helping people maintain their confidence, independence and freedom by providing motorised scooters, powered and manual wheelchairs and rollators to anyone of any age with a permanent or temporary mobility problem. We also hire out compact travel scooters that will fit in a car boot to take on holiday and foldable compact power chairs to use in small confined spaces. You will find us located on the ground floor of the Q-Park multi-storey car park (opposite the Odeon Cinema), adjacent to the Disabled Parking Bays. All mobility equipment MUST be returned by 15mins before closing time.